I graduated in 1976 from Golden West College, Huntington Beach, California. I received my registered dental assisting license in 1976 and my certified dental assisting license in 2000. My assisting career began in Garden Grove, eventually taking me to Santa Ana, then Corona, and in 2001 to Riverside with Dr. Middleton. 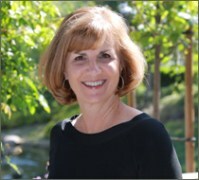 During my career I have had the pleasure of teaching for Chaffey College and working with Loma Linda University School of Dentistry, as an affiliate with Chaffey College. Currently, I serve on the dental assisting advisory boards for Chaffey and Riverside Community Colleges. In 2006 I began speaking nationally, educating dentists and their auxiliary teams, in the area of implant dentistry. I am a member of state, national and international professional associations. Dentistry is not only a continuing evolving science, but an art that delivers health, smiles, and quality of life! I am honored to work with Dr. Middleton and a team of professional, caring individuals who are dedicated to your quality of life. On a more personal level; I have been happily married to my best friend and husband, Richard, since 1976. We have three wonderful adult children, all married, and four beautiful, amazing "grandloves"! My greatest joy is spending time with my family! I also enjoy traveling, a variety of music, reading, gardening, nature and a hot jacuzzi! I love meeting new people and believe we are touched forever by the relationships we form. Whether on a personal or professional level, I will look forward to meeting you! I received my Registered Dental Assisting license in 1975, from the Regional Occupational Program in Riverside. While living in Northern California, I worked briefly in the dental field before moving back to the Riverside area. I joined Dr. Middleton’s team in 2005 after working 18 years with a local dentist. Dr. Middleton’s office is very progressive, with a strong emphasis in continuing education, which is very important to me. As the scheduling coordinator, it allows me to meet each patient and enables me to get to know you. Volunteering for Project Kind’s “Give Kids A Smile” day for the last few years has given me a lot of joy. My husband Rick and I have been married over 30 years. We have 3 children, 5 grandkids (at this time the boys are ahead), 1 dog and 2 hives of honeybees. I enjoy spending my time reading, hiking, and taking trips to see this beautiful country. I have been working in the dental field for 37 years now. In the beginning I was an orthodontic assistant and went on to further my education and became a dental hygienist. I graduated from the dental hygiene program at Cypress College in 1981. I joined the team at Dr. Middleton’s office in 2001. 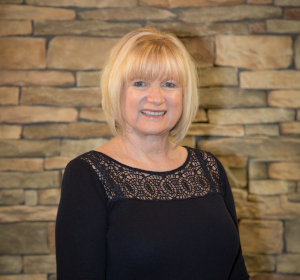 Each step of the way, I have enjoyed seeing the progression of dentistry and working for Dr. Middleton has allowed me to keep up with the latest in dentistry. Alongside my fellow team members, I volunteer each year for the Project Kind’s “Give Kids a Smile” program. It’s very rewarding to see the kids smiling faces once we help them out. Away from the office, I enjoy spending time with my family. My husband and I have been married since 1980. We have two daughters and two grandchildren. We spend time watching our grandson play sports and love to camp whenever we have a chance. All of us pride ourselves in taking care of you. I very much enjoy my role of helping our patients maintain a healthy mouth. I appreciate the caring work environment we have at Parkside Dental and developing a rapport with our patients gives me great joy and satisfaction. I have been in Dentistry for almost forty years now! I began as a Registered Dental Assistant, and worked in the front office for many years. In 1997, I was accepted into the Dental Hygiene program at Pasadena City College and graduated in 1999. In 2013 I went to the University of the Pacific and received my RDHAP (Registered Dental Hygienist In alternative Practice) which enables me to attend to people who do not have access to care. Although I don’t use my license that often, it has been a pleasure to help this underserved population. I honestly can’t get enough of Dentistry/ Hygiene. Every day, month or year I learn something new and exciting, and sometimes, I learn what’s old is new again! I am enjoying life outside of the office. I am new to “Glamping” and loving the new adventures. I still enjoy being a big kid and going to Disneyland as often as I can. My two children are grown and pursuing their passions. I have been with Dr. Middleton for almost 16 years and it is truly my family and my home. It is my pleasure to see our dental family grow through the years! I look forward to many more! I joined Bryman Collage in Ontario and received my Diploma as a Dental Assistant in 2004. I completed my Registered Dental Assistant license in 2012 and I continue to educate myself with continuing education classes and volunteer work for Tri-County Dental Society. I began my dental experience in San Bernardino and Redlands where I was able to contribute to children under sedation with special needs. I have donated my time to “Give Kids a Smile” 2008-2011 and love to work with elderly patients. I joined Dr. Middleton November 2013 and love, love, coming to work every day. My passion in life is to see everyone with great oral health care. I am married to my high school sweet heart and we have four wonderful children, Lil David, Ines, Annalise and Alescia. We love to spend time camping, swimming, visiting amusement parks, the beach and most of all just spending time together as a family with movie night every Friday. I received my x-ray and coronal polish license in 1985 from United Health Careers College. My twin sister Sharon and I went to the same school at the same time, but she became a medical assistant while I chose the dental profession. 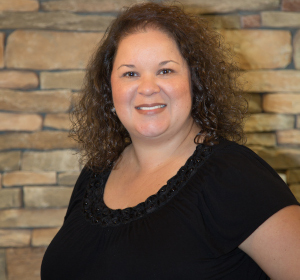 I have been a dental assistant for over 22 years, and have been working with Dr. Middleton since 2003. I enjoy being around people and working with them, helping them and becoming their friend. I love finding out about our patient’s families and interests. My role in the office is Dr. Middleton’s back office assistant. I try to keep order in the back office, keep up with OSHA regulations, and keep Dr. on time. There is so much that I love about being a dental assistant that I can’t write it all here. My husband and I have been married 26 years, with one son – we recently added a daughter-in-law and grandchild to the family! We enjoy being outdoors, and I am interested in art and painting. Volunteering my time each year when our office participates in the Give Kids a Smile program has been very rewarding for me. I received my Registered Dental Assisting License in 1997 and graduated from Cypress College in 1999. I began my dental journey in Buena Park, California where I worked for over 10 years. 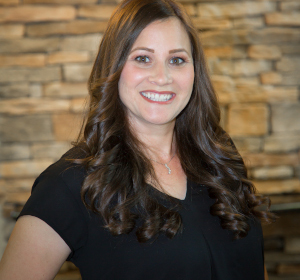 When I moved to the Riverside area I was fortunate to join Dr. Middleton’s team and thoroughly enjoyed my time with them, but after my son was born I decided staying home was a better fit for our family. Shortly after, we welcomed our daughter. During my 7 year break, from dentistry, I remained active in the dental field by attending the yearly California Dental Association’s Scientific Sessions where I kept my license and skills up to date. It was important to me to keep my licensing status up to par, as I knew one day I would be back in the dental field. Now here I am, back at the office I had such a hard time leaving. I have 2 children and have been married since 2004. Our kiddos keep us busy, busy, busy with their sports and activities; they are our greatest joy. I enjoy reading, movie nights and river trips in the summer. I love creating memories to last a lifetime. So whether I’m saying “hello again” or “nice to meet you” I look forward to seeing you soon. I completed my dental hygiene education at Riverside Community College (now Moreno Valley College) in 2008. I was the recipient of the director’s award for clinical and academic excellence. 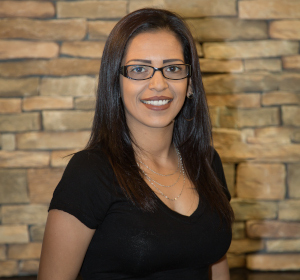 You will find I am very passionate and enthusiastic about dental hygiene, and thoroughly enjoy meeting new people and establishing relationships. I became a dental hygienist for many reasons: as a child I was very fearful of the dentist, healthcare sparked my interest, and I have always found fulfillment in helping others. My job allows me to comfort those who may be afraid in the dental chair, as well as provide education and treatment to help maintain and improve oral health. When I am not working, I am spending time with my very active family. I have been married to my high school best friend for the last ten years, and we have four children. We enjoy watching and playing sports, going to the movies and spending time with our very large extended family. Dr. Middleton and his team make coming to work exciting and enjoyable each day. We provide a team approach to patient care, and share a love for learning and growth in our profession. I am thrilled to be a part of the practice. I graduated from the University of California, Merced, in the Spring of 2017 and received my bachelors degree in Human Biology. Knowing all along that I wanted to take on a career in the health care field, I made the decision to go into dentistry towards the end of my college career. Shortly after graduating college, Dr. Middleton allowed me to join the team in order to gain some experience within a dental office, considering my next major life goal is to become a dentist myself. Having recently applied to multiple schools throughout the United States, I’ve been working as a dental assistant for Dr. Middleton while I await dental school decisions. Outside of the office, I enjoy fishing, playing the guitar, working out and spending quality time with my family and my lovely girlfriend, whether it be at home or wherever our weekends take us. As much of a cliché as it may sound, I thrive off of serving others, as it provides me with a degree of self-satisfaction and pride, and having such an amazing career such as dentistry, which revolves around catering to others’ oral health, is exactly what I yearn for. Since working in the office for only about a year and a half, and being surrounded by such wonderful mentors and support group like Dr. Middleton and his team, I have gained an outstanding amount of experience and level of comfort in working in a dental office.